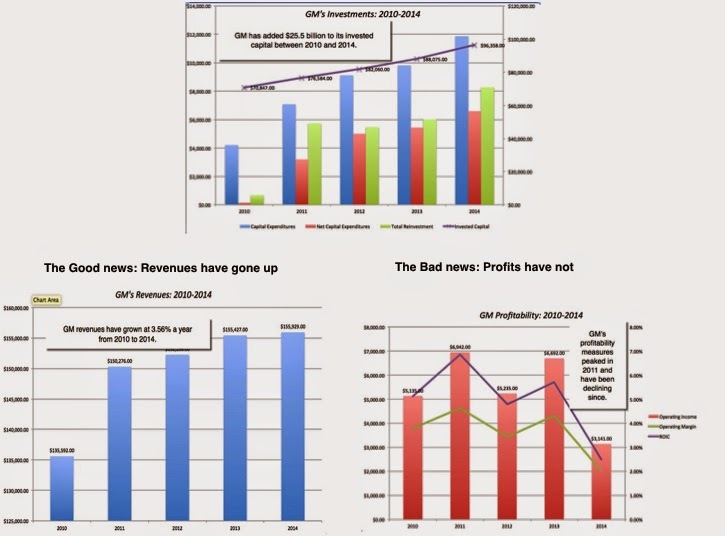 The GM Buyback: Beyond the Hysteria! Here is a script for a movie about the evils of stock buybacks, with the following players. The victim is an well-managed company in a business with significant growth opportunities and profit potential. The company has delivered products that its customers love, while paying its workers top-notch wages & benefits and invested heavily and prudently in its future. The villain is an activist investor, and for added color, let's make him greedy, short term and a speculator. In the story, he forces the company to redirect money it would have spent on more great investments to buy back stock. The white knight can be a regulator, the government or a noble investor (make him/her successful, wealthy and socially conscious, i.e., Buffett-like) who rides in and saves the hapless company from the villain and stops the buyback. The story ends happily, with the defeat and humiliation of the activist investor, and the moral is that stock buybacks are evil (and need to be stopped). As you read some of the over-the-top responses to GM's buyback, such as this one, you would not be alone in thinking that you were reading about the mythical company in the movie. 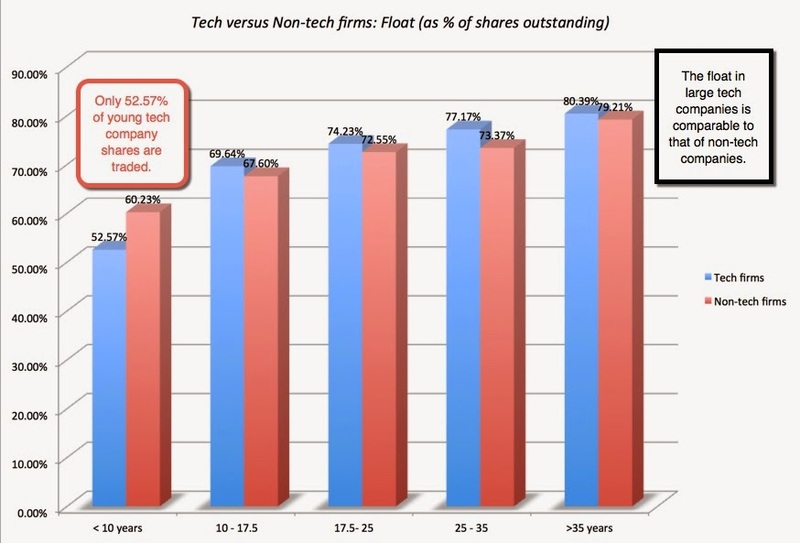 But given GM's history and current standing, do you really want to make it the basis for your case against buybacks? Is GM a well managed firm? The answer might have been yes in 1925, when GM was the auto industry's disruptor, challenging Ford, the established leader in the business at the time. It would have definitely been affirmative in 1945, when Alfred Sloan’s strategy of letting GM's many brands operate independently won the automobile market race for GM, and it was the largest and most profitable automobile company in the world. It may have still been positive in 1965, when GM was on top of the world, a key driver of the US economy and US equity markets. Does this imply that the existing management of GM is not up to the task? Not necessarily, since they were dealt a bad hand to begin with. They were saddled with brand names that evoke nothing but nostalgia, a cost structure that put them at a disadvantage (still) relative to other automobile companies and a legacy of past mistakes. At the same time, there is little that this management has done that can be viewed as visionary or exciting in the years since the IPO (in 2010). In fact, the end game for the new GM seems to be the same one that doomed the older version of the company: a fixation on market share (and number of cars sold), a desire to be all things to all people and an inability to admit mistakes. In the last two years, GM’s fumbling response to its "ignition switch" problem seem to have pushed GM back into the “troubled automobile company” category again. The bottom line is that the best case that you can make for GM's current management is that it is a "blah" management, keeping the company alive and mildly profitable. The worst case is that this is still a management stuck in a time warp and in denial over how much the automobile business has changed in the last few decades and that it is only a matter of time before the government is faced again with the question of whether GM is too "big to fail". Given that the business model for automobile companies seems to have broken down, it should come as no surprise that the business is being targeted for disruption. While I have argued against the pricing premiums that the market is paying for Tesla, it is undeniable that it's entry into the market has speeded up the investments that other auto makers are making in electric cars. Given their track record of poor profitability, I would not be surprised if the next big disruption of this market comes from companies in healthier businesses and that will bring more pressures on existing automobile companies. If there is a light at the end of this tunnel for incumbent automobile companies, I don't see it. There are "corporate finance" reasons for arguing against buybacks in some companies and they include concerns about damaging growth potential (where buybacks come at the expensive of good investments), about timing (when companies buy back shares when prices are high, rather than low) , or managerial self-interest (if buybacks are being used to push up stock prices ahead of option exercises). Since it is almost impossible to use any of these with GM, those arguing against a GM buyback are really against all stock buybacks, no matter who does them. While I don't agree with these critics, I think that there is a simple way to understand the vehemence of their opposition and it is rooted in ideology and philosophy, not finance. If you believe, as I do, that as a publicly traded automobile company, GM's mission is to take capital from investors and generate higher returns for them that they could have made elsewhere, in investments of equivalent risk, with that money, you can justify the buyback and perhaps even argue that it should be more. If you believe that GM's mission as a car company is to build more auto plants and produce more cars, hire more workers and pay them premium wages and save the cities of Flint and Detroit from bankruptcy (as a side benefit), this or any buyback is a bad idea. 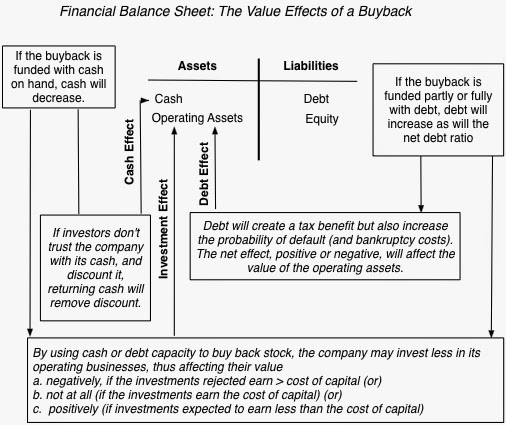 In fact, it is not just buybacks that you should have a problem with but any cash returned (including dividends) to investors, since that cash could have been used more productively (with your definition of productivity) by the company. It is also extremely unlikely that you will find anything that I have to say about buybacks to be persuasive since we have a philosophical divide that cannot be bridged. So, its best that we agree to disagree! 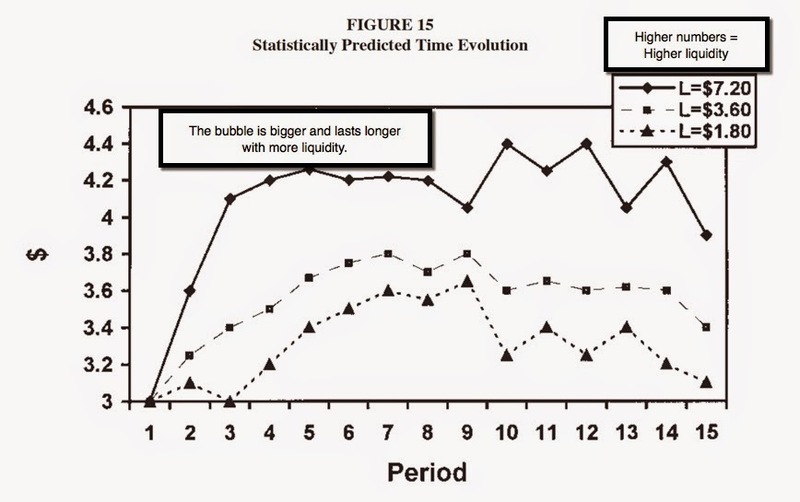 Illiquidity and Bubbles in Private Share Markets: Testing Mark Cuban's thesis! It looks like Alibaba is investing $200 million in Snapchat, translating (at least according to deal watchers) into a value of $15 billion for Snapchat, a mind-boggling number for a company that has been struggling to find ways to convert its popularity with some users (like my daughter) into revenues. 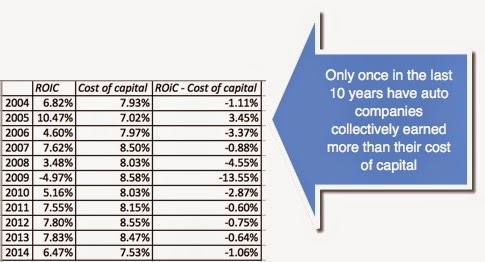 While we can debate whether extrapolating from a small VC investment to a total value for a company make sense, there are two trends that are incontestable. The first is that estimated values have been climbing at exponential rates for companies like Uber, Airbnb and Snapchat. In venture capital lingo, the number of unicorns is climbing to the point where the name (which suggests unique or unusual) no longer fits. 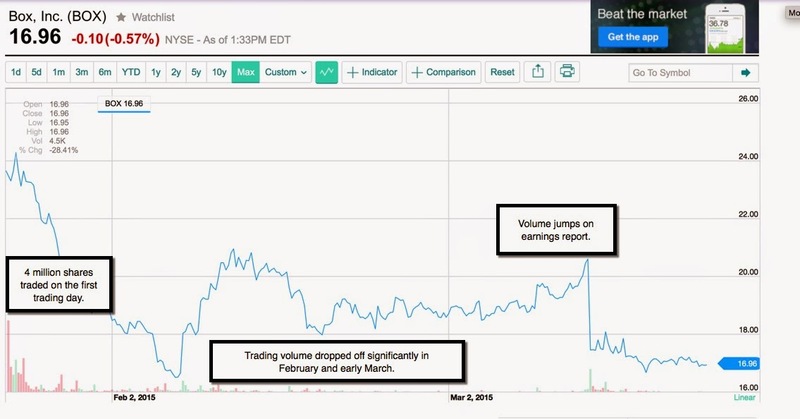 The second is that these companies seem to be in no hurry to go public, leaving the trading in the private sharemarket space. 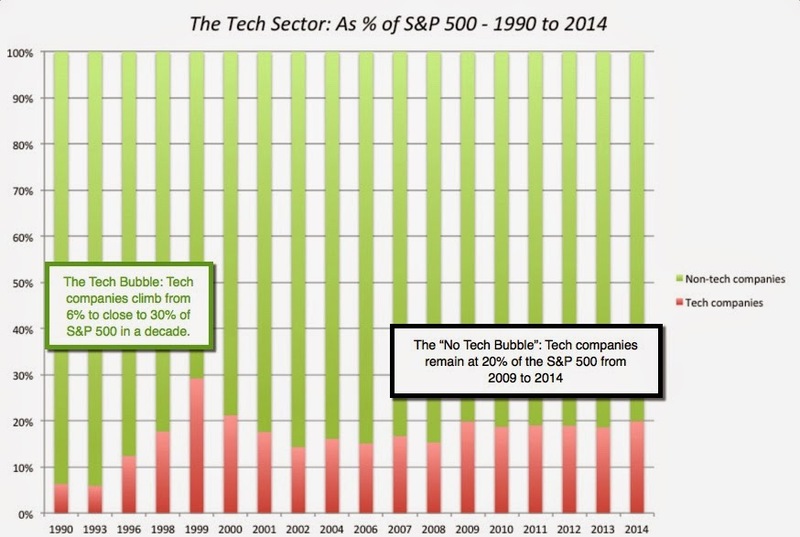 These rising valuations in private markets led Mark Cuban to declare last week that this "tech bubble" was worse (and will end much more badly) than the last one (with dot-com stocks). 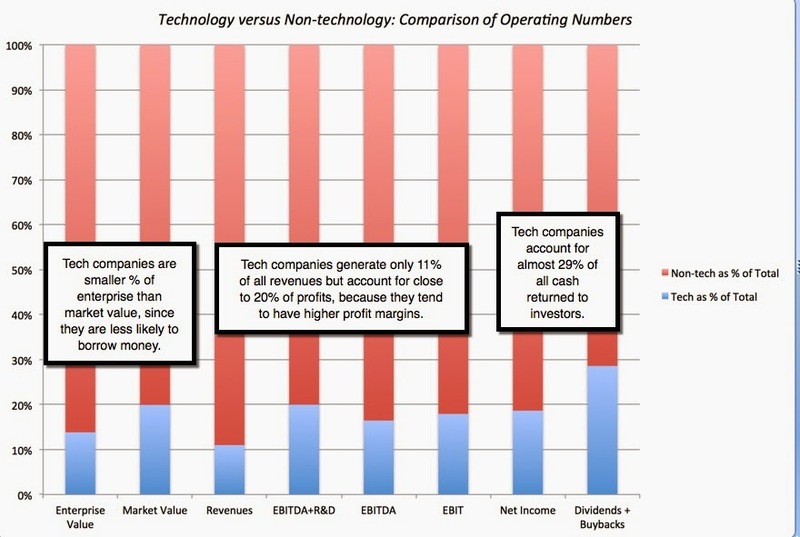 In the article, Cuban makes four assertions: (1) There is a tech bubble; (2) A large portion of the tech bubble is in the private share market which is less liquid than the public markets; (3) The bubble will be larger and burst more violently because of the absence of liquidity; and (4) This bubble is worse than the dot-com bubble, though it not clear on what dimension and from whose perspective. In his trademark fashion, Cuban ends his article with a provocative questions, "If stock in a company is worth what somebody will pay for it, what is the stock of a company worth when there is no place to sell it ?" I like Mark Cuban but I think that he is wrong on all four counts.